“This (photo above) is Angel with one of her 3 cubs just a couple of weeks after leaving their den. This image shows the love between the mother and her cub she was guarding at the base of this safety tree. Her two other cubs (both males) spent the night high in the tree but this cub (female) had fallen from a tree the night before and her injuries prevented her from climbing ever again during her short life on earth. There are many ways cubs lose their lives during their first year and I am sure tumbling from 100’+ feet up a tree is a common occurrence unfortunately.”~ Chris Norcott, photographer. 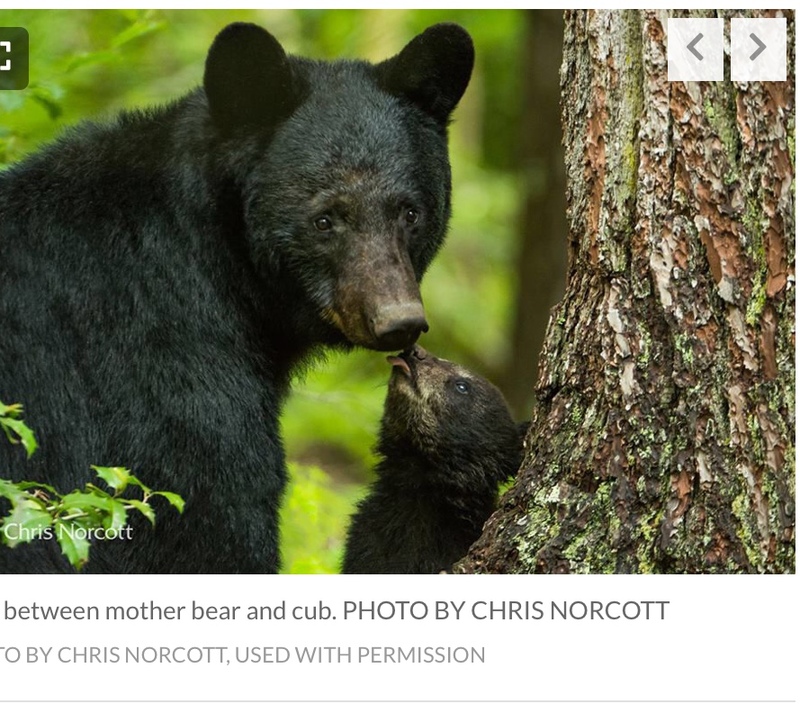 Angel, the mother bear, and the story of her cubs are well-described by Chris Norcott on his Facebook page, with many charming pictures of the cubs being taught to climb, being encouraged to leave their comfy den, and being mothered. It takes so much attention and work to raise cubs in the wild, especially when just curiosity about humans can cause a “bear complaint” by people who fear bears out of ignorance. The bear kill started Wednesday, Sept. 5, and lasts five weeks, through Oct. 9. Just when bears naturally would be feeding daily to survive an uncertain winter of hibernation, they are run, separated from cubs, and shot after being trapped in trees. Mother bears will tree their cubs and run until exhausted, when they will climb 70-100 feet up. Like this little cub pictured above, who died because she could not climb after injuries from falling from a tree, bears will be further injured by falls and dogs. Bear hunting shames Wisconsin, appealing to the worst in man and dogs. The waning number of hunters has put state agencies in hyper-drive, offering longer killing seasons, $5 licenses, and, in Wisconsin, dropping the age to hunt to 0. Waning numbers of hunters means waning revenue, since the archaic system is based on selling licenses to kill to fund these agencies. The key words used by pro-hunting “conservation” organizations (League of Conservation Voters, Nature Conservancy, Sierra Club, Aldo Leopold Foundation), whose dues-paying members include hunters, are “habitat, habitat, habitat.” There appears to be is no concern for the dwindling wild animals living in collapsing ecosystems. Most of the public lands where hunting and trapping get priority are purchased by the public, the majority of whom are nonhunters. The money that comes in to state agencies from Pittman-Robertson gun and ammunition taxes ($34 million this year) goes in part to recruitment, retention and reactivation of more people to kill more wildlife, in part to gain more access to land for killing wildlife, and, in the guise of benefits to wildlife, is focused on providing more wildlife as fodder for trapping and hunting. Self-glorification by trophy killers, big-game hunting, rugged individualism, and the Marlboro man were phenomenon of the early 20th century. Sottile points out: “But that was then and this is now, when Americans’ views are evolving along with science as it builds the case for widespread sentience among the animals who populate the Earth’s threatened ecosystems. 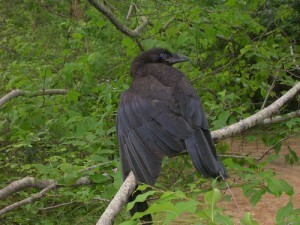 The many killing seasons promoted by the DNR can be found here. During this five-week bear kill of 4,550 bears over dogs and bait, please contact your legislators and protest the kill. You can find your own legislators here. Feel free to copy and paste any of my bear articles to them. Please consider a generous donation to building a bear sanctuary/education center 40 miles north of Madison. This column was originally publshed in the Madison CapTimes on September 9, 2018.